You should know have a reply sent to you I have been of on holiday the last few days sorry for the late reply. Send you mail. And your excused, but dont let it happen again to go on holliday when i want some bushes ;-). Can some of you, who exchanged the OEM bushes on the rear traling arm with the ones supplied by Ninemeister, share experiences on installation and final handling during driving. Can't say anything on performance gains yet. But installation was no big deal. For me the hard part was getting the trailing arms of the car. Had to get a special tool from Porsche (9299) to get the right trailing arm off . The allenhead bolt is so close to the gearbox on the right side. 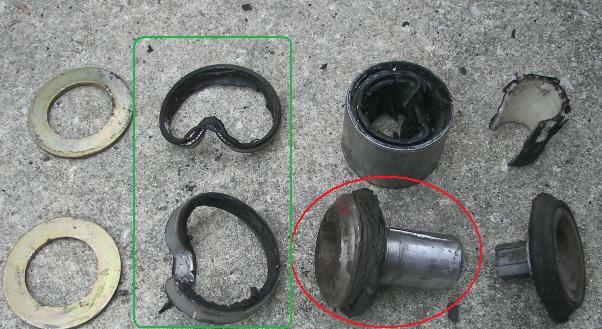 Then, remove the old bushing by cutting loose the outer rubber parts and push the inner parts out. Basically following the instructions that came with the bushings. 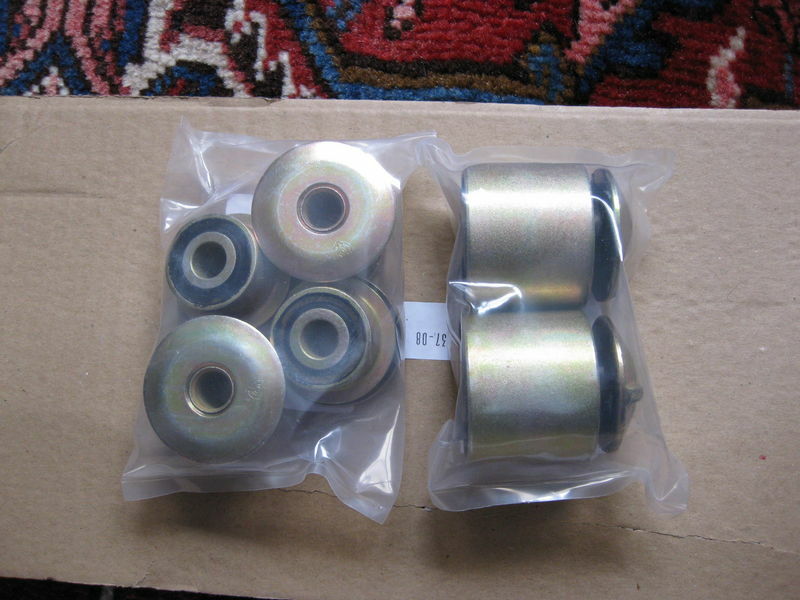 Are these bushings still available?? If so, can you forward me info on how to buy, how much etc..
? for Colin, what is the ShoreA # for these rubber bushes? Just to let everyone know, the bushes are in stock at 9m on the Rennlist special price of £175 plus VAT & Carriage as appropriate. 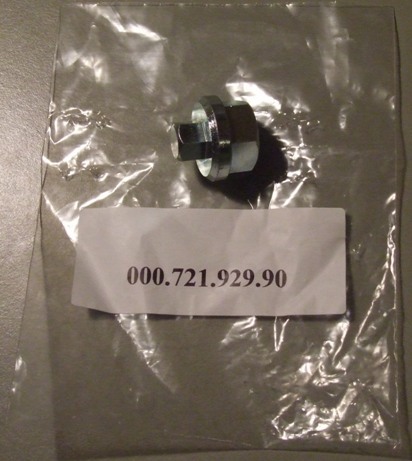 Sorry Bill but I do not have an equivalvent Shore number for the Poly bushes although I can tell you that we only stock the stiffer material option which is proving to be near ideal for mixed fast road, trackday and racing use. Parts received! Really nice stuff! 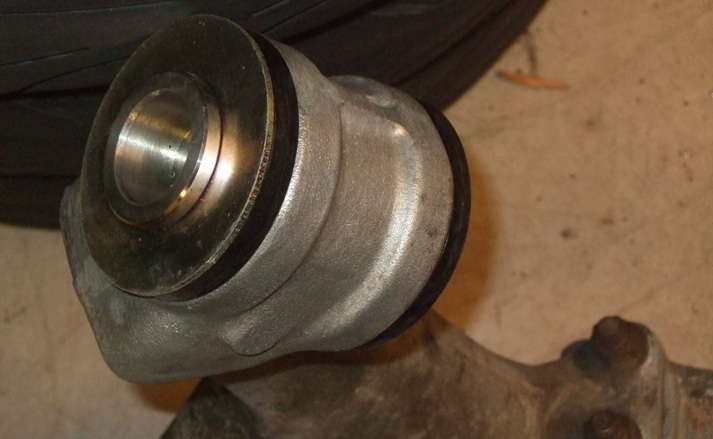 will replace the bushings coming weekend. Just to confirm, can you indicate which parts needs to be re-used on below picture? (Thx Jasko). I'm sure about the 2 outer parts. Any other peices? Washers? I can't recognize removing the two "rings", # 2 from left (green) ? If you read the Fitting Instructions part 1 it says to leave the metal rings. Apart from that, it is the part # 3 (red) from left which you will want to clean, and re-use. for reference - the powerflex fronts come with a new number 3.